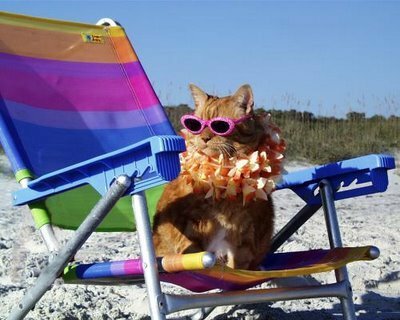 Did you take a summer holiday from the last week of IPKat? Here is the 108th edition of Never Too Late wishing you were here! * The Limerick Competition - the Results! And discovered some poets a-climbing. Congratulations to John Boumphrey for his winning entry! The Intellectual Property Office responds to Brexit, highlighting that EU-derived protection is still in place while the UK remains a Member of the EU, and that the UK is looking into various post-Brexit options. Annsley Merrelle Ward reports on the new guide with a little help from Merpel. Is unused "deadwood"really cluttering up trade mark registers? Neil Wilkof explains why deadwood may not be such a problem, unless you are a legendary 19th century rascal. Internkat Ellie Wilson brings us a weekly roundup, including the new MIP European Patent Reform Forum, and University of New Hampshire's search for a new Dean. Is it not wonderful how Europe and the chattering classes seem to close down in accordance with the local British School eerrrr sorry I mean Summer European August holidays,,,. Presumably (or rather,,,hopefully,,, as there is nothing more thrilling than some of the threads to be found here} hostility's will start in earnest in September? Aaaggghhhh ze British and their excessive holidays. Pah! Do you mean the British,,,,, or the champagne British CD plate driving tax free BMW VAT dodging cant stop moaning about the EPO its all doom and gloom - but Jesus they pay for my post British School use the word 'like' at least twice in very sentence kids to go to University so its got to be worth sticking it out at all costs and I couldn't get a job anywhere else anyway because I am an over 45 sold out British loser who has become institutionalised because I been here so long,,,,type excessive holiday person? Do you mean that sort of British person? Or do you mean a British person who has no choice but to accept a 0 hours contract, Think you have lost touch. Get in touch. Arrogance is not the way forward.